OBDLink products are one of the higher ranking companies amongst professional and beginner users in the automotive scanner industry. With their quick-and-easy design and Bluetooth interface, OBDLink software and technology prove time and time again to be advanced products. 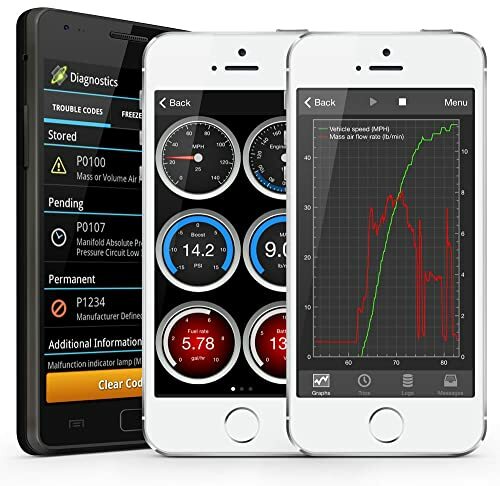 Users are able to rapidly connect their OBDLink devices with their IOS, Android or Windows device, which in turn puts all the diagnostic tools in their hands. So, what are some of the best products from the OBDLink team? First, take a look at this comparison chart to decide for yourself. 2.4 Who is it for? 3.4 Who is it for? 4.4 Who is it for? 5.4 Who is it for? 6.2 How to pair OBDLink Bluetooth? 6.3 How to pair OBDLink Wifi? Now that you have seen the comparison chart between some top OBDLink products. Let’s dive into these reviews to find the best quality product that fits your needs. 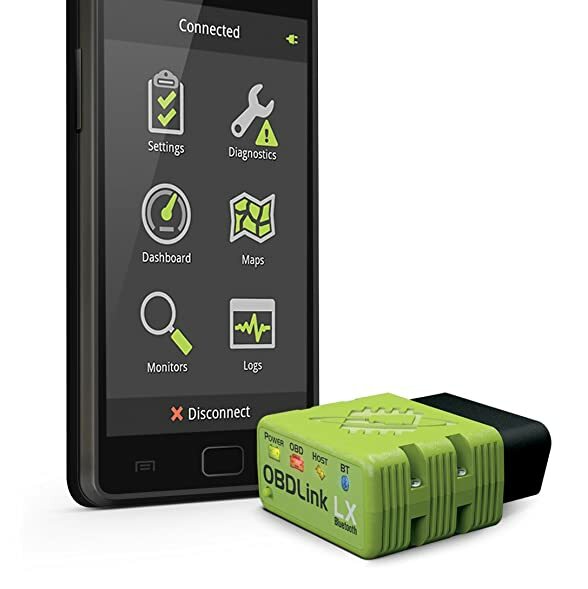 Similar to the other OBDLink adapters, the OBDLink LX is a handsfree, Bluetooth adapter that syncs with any phone, tablet or computer to transform it into a diagnostic tool. The OBDLink Bluetooth LX works with all OBD2 protocols while outperforming processing speeds of other products. On average, this device, like the others takes about 3 minutes to install, saving you from the frustration of other complicated devices. There is a button on the back of the unit that makes the connection time instantaneous, without broadcasting its presence to other networks. That means you are safe from any hackers or security breaches, keeping all your vehicle information safe and secure. Similar to the other OBDLink products, the LX promises top performance speeds along with accurate, detailed graphing. Checking and reading engine codes to make informed and accurate repair decisions about your vehicle. More software coverages from major third-party applications, the Bluetooth LX works with Torque and DashCommand plus more. Not only is it compatible with third-party applications, but you can expect easy connection to almost any device including Apple, Android and Windows PC, tablets and smartphones. You can also count on maximum vehicle coverage due to the software that allows the LX tool to connect with more makes and models than other devices. OBDLink LX transforms your Windows PC, laptop, or phone into a super-fast, accurate automotive diagnostic device. Data protection alongside hacker-proof technology makes the Bluetooth LX device and secure purchase. Beyond keeping your information secure, this device will also keep your battery life secure. Battery Saving Technology saves you the headache of worrying about low battery levels from leaving the LX adapter plugged in. The OBDLink LX is loaded with the necessary OBD2 protocols such as Live data reading, freeze frame data and more. On top of all that, you can have peace of mind with your purchase due to the 3-year warranty and 90-day money back guarantee from the OBDLink team. The OBDLink Bluetooth LX is compatible with all vehicles made in the US from 1996 to the present. All other European or Asian vehicles with OBD2 compatibility should also work with this device. If you are driving a Ford or GM vehicle, it is recommended that you purchase the MX device for its GM-Lan and Ford-MSC connections. Maximum Coverage- Expect a wide range of vehicles covered with this device. Fast and Compact- Record-setting processing speeds in the size of our hands. Hacker Proof-Strong security system eliminates the worry of unauthorized users. 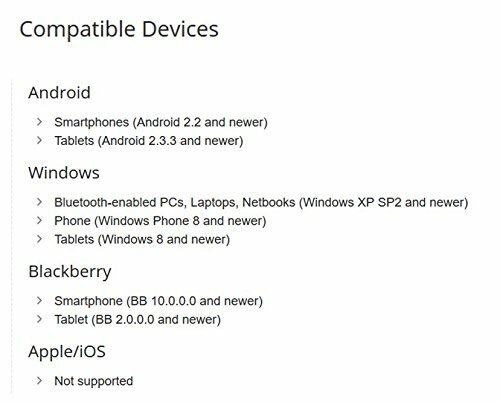 More Choices- Compatible with most devices and third-party applications. Not as Fast as Promised- The OBDLink team promises a 4X faster connection speed, but this promise is not fulfilled by all users. The OBDLink LX is a handsfree device that is perfect for anyone looking to save from extensive repair fees. If you enjoy Bluetooth technology and want to get quick and accurate information from your engine, look no further. For the beginner user, the DIY user or the expert mechanic, everyone can use this device in their workbench. 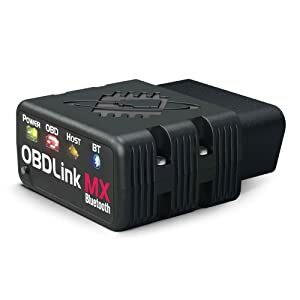 The OBDLink MX+ is a brand new device from OBDLink technologies. Since it is a newer addition, this OBD scanner promises better performance, reliability and processing speeds than previous devices. Connect this Bluetooth device to an Apple iPad, iPhone or your Android devices and begin using expert tools for car diagnostics. You might be asking, what makes this device different? 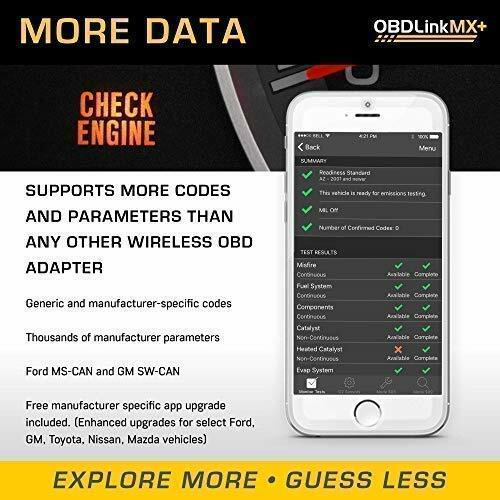 Read about the features and functions and decide for yourself if the OBDLink MX+ is what you might be searching for. With this iOS-compatible scanner, you will have access to one of the only products that support GM-LAN and Ford MS-CAN vehicle solutions. This means you will be able to utilize more ECUs and more specific trouble codes from your vehicle. Manufacturer-specific trouble codes are the most accurate way to get a clear read on the most common trouble codes fro your engine. Complete with ABS, SRS, TPMS, A/C and internal transmission temperature, the improvements on this device will give you more reason to chose this Bluetooth scanner. OBDLink MX+ supports more codes and parameters. The OBDLink MX+ has improved its response time from past models, in turn, you will have up to 4X faster processing time for live-data readings. Additionally, you can have peace f mind with this device because you can leave it plugged in without draining your battery. Keep the information safe and accurate with hacker-proof security features and free upgrades with the OBDLink MX+ purchase. Experience more coverage than ever before with this auto scan tool. OBDLink MX+ is compatible with all 1996 and newer vehicles sold in the United States. Unfortunately, this excludes Hybrid and Electric vehicles. With this scan tool, the MX+ allows you to connect to more makes and models. Thus you will be able to read and clear codes on all OBD-compliant vehicles. Advanced diagnostics- gain access to manufacturer specific codes for clear DTCs. Application Compatability- The MX+ works with dozens of car diagnosis applications. Security- With Hacker-proof technology, you can ensure your information is safe. More Coverage- the MX+ promises a wide variety of compatibility with many vehicles. Additional Costs- Expect to pay $9.99 for extra manufacturer codes. ABS and SRS exceptions- For some makes and models, some features are not available. The OBDLink MX+ is a great tool to help the beginner user or the expert mechanic. With a wide range of coverage, this device can help just about everyone. The OBDLink MX is the predecessor of the MX+ scan tool, but you can still expect high processing speeds that outshine those of competitors. Wireless technology means with the OBDLink MX Bluetooth device, you will have access to all OBD2 protocols from your smart devices. With the newest updates, you will experience faster screen time and more graph parameters when it comes to live streaming data. Calculably faster live data reading isn’t all this device offers, additionally, here are a few more key features and functions. The OBDLink team has engineered this device to work alongside a feature loaded application that works with IOS, Android and Window devices. That means you can easily read and clear engine codes, as well as graph and log real-time engine data from the palm of your hand. Additionally, you can check emission readiness, and calculate MPG all from the application. With battery saving technology and advanced hacker-proof security parameters, you can rest assured that your information is in the right hands. If you happen to own a Ford or GM vehicle, the OBDLink MX Bluetooth device syncs with GM-LAN and Ford-MSC to offer customizable settings. The OBDLink MX Bluetooth scan tool has maximum vehicle coverage. You can rely on this device working with any 1996 and newer vehicle sold in the US. For other European or Asian vehicles, this diagnostic device works with most OBD2 compliant vehicles. OBDLink Mx Bluetooth compatible devices. Advanced support for GM and Ford- customize your car with special parameters for GM and Ford. Battery Saving Technology- You can leave this handsfree device plugged in without worry. Compatible with other Apps- Works with other popular third-party applications. Security protected- With security systems in place, you know your data is safe. Fast processing speeds- Count on double the speed for all OBD2 readings. More Useful for GM/Ford users- Not all vehicle owners can utilize the loaded features of this device. If you are in the business of purchasing a car and want to make sure there will be no surprises, this device could save you a headache. For beginner users to experts, this device can quickly give you the response you need from any vehicle engine. Finally, the last of the OBDLink products reviewed today is the OBDLink MX Wi-Fi scan tool. 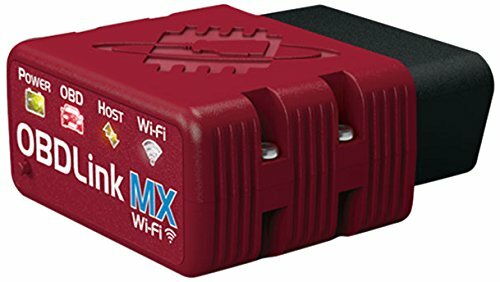 The OBDLink MX runs on a Wifi interface, which allows you to turn any of your wireless devices into your vehicles new best diagnostic scanner. In comparison to the other devices, the MX Wi-Fi device has a slightly steeper price tag. That being said, the user should expect more bang for his buck. Loaded with advanced features and functions and backed by the promise of the fastest processing speed, this device should pay for itself. 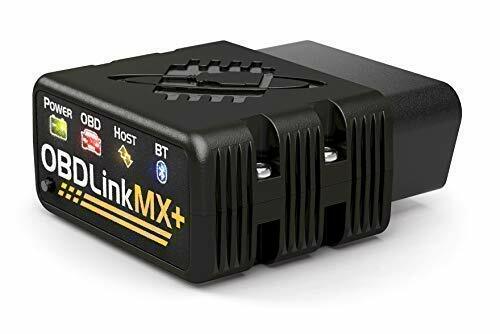 With the purchase of the OBDLink MX WiFi adapter, the user can expect rapid results with accelerated screen time from both a handheld device or a PC. In other words, when it comes to application processing time, you won’t have to worry about lag. Additionally, that means more parameters for live data graphing. If you happen to own a GM or Ford makes or model, this device is specially made for you. Loaded with compliant GM-LAN and Ford-MSC protocols, the user will gain access to manufacturer specific codes which can help you customize your vehicle. Read and clear engine codes for all OBD2 protocols, or additional protocols for GM or Ford drivers. Battery saving technology and sleep mode mean the worry of a drained battery is irrelevant. 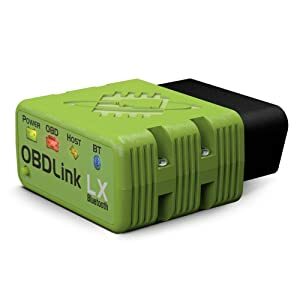 The OBDLink MX Wifi device goes above and beyond the previous OBDLink devices by promising overvoltage protection and advanced features loaded onto a 2-inch device. For the increase in price, some of the exclusive features include enhanced diagnostics, upgradeable firmware and large memory. Be warned, many users had negative things to say about the connection speed when using this device, some recommend the Bluetooth version instead. Once again, like the other scanners from OBDLink, you can expect a wide coverage of vehicles. For all US made vehicles from 1996 until now, and [email protected] compliant Asian and European cars. Unfortunately, this device is not suitable for Hybrid or Electric engines. Wi-Fi adapter is easy to install, and the BatterySaver sleep mode means it is safe to leave plugged in without draining your car’s battery. Fast connection- accelerates application and PC software by up to 300%. Strong Wifi Security- hacker-proof technology keeps your information safe. Extended set of commands- advanced diagnostics, backward compliance with ELM327 commands. Battery Saver- Enters sleep mode when not in use. Faulty connection- Unfortunately, many users had issues getting a stable connection. This is a WiFi compatible device for anyone who wants to turn their smart device into a car diagnostic tool. If you are a beginner user or a professional mechanic, you can find the use of this tool. OBDLink tools are some of the most compatible diagnostic tools on the market. And that goes beyond just engine compatibility, OBDLink scanners work in sync with some of the leading third-party diagnostic applications and software. These tools are some of the top leading tools in the automotive industry today for both professional and personal users. How to pair OBDLink Bluetooth? Plug the OBDLink Bluetooth connector into the adapter port, most commonly under the driver’s side steering wheel. Turn the key in the ignition to the ON position. Once the device is plugged in, the green Power LED light should become illuminated. For the Bluetooth model, the BT light should flash and indicate it is ready to be paired. From your handheld device, connect through the Bluetooth settings on your phone or computer. How to pair OBDLink Wifi? In order to pair the OBDLink Wifi device, the steps are the same for pairing with the OBDLink Bluetooth device. Plug the adapter into the port on the drivers’ side, normally under the steering wheel. Wait for the green LED power light to illuminate. After the power light is illuminated, the WiFi light will begin to flash slowly. Using your phone or computer, chose the OBDLink WiFi network to get an instant connection.